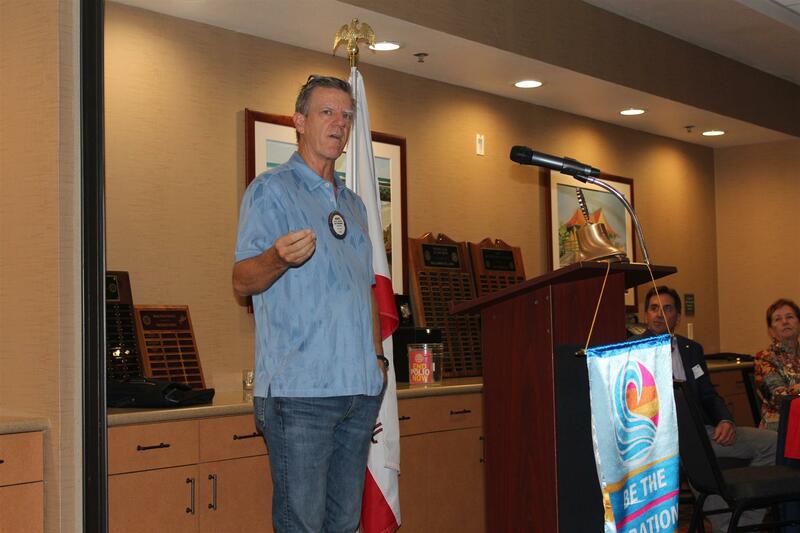 Bruce Bandemer spoke about our Carlsbad Rotary Foundation. The total portfolios value as of 9/30/18 is $431,763. The current allocation is: 58% equities, 42% cash & fixed income. Due to our long term 10+ year horizon we are going to move carefully to a 65% equity exposure and 35% cash & fixed income allocation. Investment products utilized: Actively managed Mutual funds (purchased at NAV) as well as Index funds and selective ETF’s. This spring we awarded $15,500 in scholarships. This is controlled through the High school guidance officers and MiraCosta College finance office. This is a demonstrated growth in numbers of scholarships awarded and size of awards over time. Some 200 scholarships have been awarded. Ray Pearson spoke on the subject. Students don’t forget the investments made in them by Rotary. There was some discussion on whether smaller or larger-value with correspondingly more or fewer awards would be better. Bruce mentioned that the $ 1,000 awards seemed to be optimal for student success.